Yes! 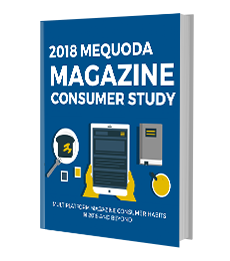 I want my FREE download: 2018 Mequoda Magazine Consumer Study. Send me my FREE download and updates via email. Please provide your first name, last name, and work email address below. Fields with asterisks are required. Along with your FREE Report, you will also be registered for Mequoda Daily newsletters. As always, you can unsubscribe at any time.